Excellent call quality and secure network infrastructure. 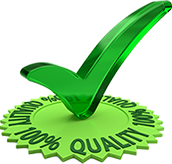 We use nothing but the highest quality service providers to ensure the best quality and service. We pride ourselves in the high standards for our global conference calls. We realize making a conference call is important. Whenever a proficient and superior quality conference call is required, look to conference calls for dependable conference calling and bringing the gatherings of individuals on phone calls quick and easy.